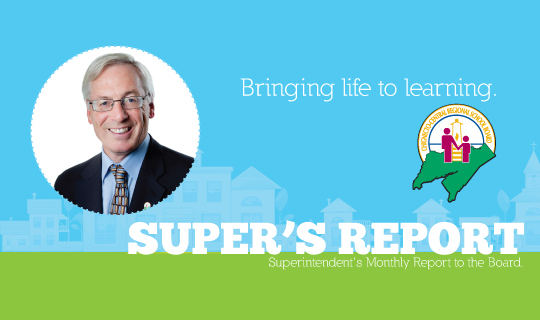 On June 10th, Superintendent Clarke presented his June Super's Report to the elected Board. In this issue, Superintendent Clarke highlights CCRSB student success at the Canada-Wide Science Fair and the regional and provincial heritage fairs. He also focuses on graduation ceremonies and the success of CCRSB's recent Student Forum events! This issue marks Superintendent Clarke's last. After 36 years with CCRSB, he will retire at the end of this school year. Mr. Clarke takes time in this issue to thank staff and the elected Board for their dedication to students and for their friendship. Best of luck Superintendent Clarke, you will be missed!